For several years, Quad-Lab has undertaken to implement a genuine corporate social responsibility policy involving continuous improvement. 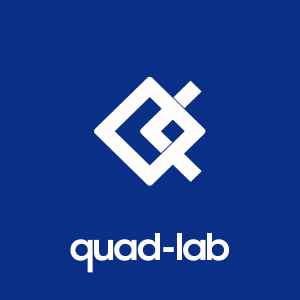 Quad-Lab senior management takes great care to respect basic human rights and makes sure that no discrimination occurs either in recruitment or in the everyday life of the business. The human resource policy is formalised and structured. Many tools have been deployed to favour social dialogue and well-being in the business (“liberated” management, monthly meetings and lunches, nap room, yearly team building, etc.). Furthermore, these tools are assessed on a regular basis in order to check their relevance. All employees are invited to work on the main subjects concerning the business through the use of themed work groups: pay policy, communication (web site, social media), strategy, etc. Extensive study of collective protection equipment, especially thanks to the construction of our new premises: capture of pollutants at the source, specific ventilation depending on the processes, creation of specific rooms to store hazardous products, technicians’ offices completely separate from the laboratory in order to limit their exposure to pollutants and noise, etc. Continuous involvement of staff through regular training courses on emergency situations and the organisation of monthly “awareness raising chats”. Quad-Lab is organised around a charter of values that has been worked on and defined with all of the employees. This framework of values is fundamental and governs how the business is run. It is currently being reviewed with the new employees so that it follows the changes in the business as closely as possible. The service provided to clients, continuous improvement, transparency and honesty are our laboratory’s key values. Maria Ternard, the Quad-Lab managing director, is a member of the “Centre des Jeunes Dirigeants (CJD), a movement that was created in 1938 founded on the belief that an economy at the service of Man is an embodiment of the key to business competitiveness. Via this channel, our team promotes actions targeting young people and participates in school activities (GSCE level establishments, higher education) to promote its trades and entrepreneurship. Every year, Quad-Lab also takes part in the “chemistry village” in order to make young people aware of trades in the chemical industry and perhaps reveal vocations! Quad-Lab is also vigilant in the choice of its contractors and is therefore naturally a signatory of the “Responsible supplier relations charter”. Finally, Quad-Lab has been assessed at the “confirmed CSR commitment” level by the Ecovadis organisation.